A lifetime resident of Livingston, Dr. Gary Krugman has dedicated over 28 years to providing his patients with the best of today’s dentistry, so that they may enjoy a lifetime of healthy, beautiful smiles! 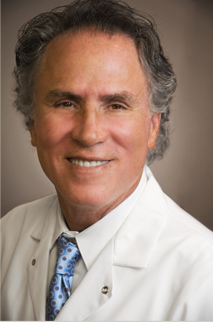 Dr. Krugman earned his bachelor’s and dental degrees from Washington University in St. Louis, Missouri, and is a proud member of the American Dental Association, the New Jersey Dental Association, and the Alpha Omega Dental Fraternity. Committed to lifelong learning, Dr. Krugman participates in numerous hours of continuing education programs annually. Advanced training in cosmetic, restorative, and implant dentistry, as well as certification in Invisalign, allows Dr. Krugman to give you a smile that is healthy and looks the way you always imagined it could. From beautiful smile makeovers to the best options in tooth replacement therapy to easier and faster ways to straighten your teeth, you can receive dental care that is becoming less invasive and less painful than ever before! You can rest assured that while Dr. Krugman continues to pursue excellence in dentistry, he also places great emphasis on being an honest, gentle, caring dentist who treats his patients, not just their teeth. Outside of the office, Dr. Krugman enjoys playing golf, riding motorcycles, and spending time with his wife, Cindy, and their two daughters, Jessica and Hayley.